Husband and wife team, Elgin and Lisa N. Alexander produced and directed the award-winning documentary, ‘What Mercy Looks Like.’ It is the pair’s first film. Lisa is the owner of PrettyWork Creative, a creative agency in Houston, TX and Elgin partners with her to grow and operate the business. Elgin, PrettyWork Creative’s Director of Photography has been professionally shooting and editing video for three years. He brings 20 years of quality control experience to the set resulting in a disciplined approach to lighting, set selection and the storytelling process. Elgin plans, directs and coordinates all video productions, and determines filming and lighting requirements for set and on-location shoots. Elgin is also the main camera operator and responsible for post-production and editing. Lisa has worked in the creative industry for over 20 years, starting out as a graphic designer and moved through the ranks to launch her own creative firm. Her design work has won awards and clients love her for her insight and marketing and branding expertise. According to a blog post published on the company’s site, the documentary wasn’t on the couple’s radar, nor was it on their production schedule. “It kind of just fell into our lap,” Lisa commented. “We saw this great organization corralling volunteers from all across the United States to help Houston-area homeowners recover from Hurricane Harvey and we knew we had to capture it,” she said. You can read the entire post here. The couple followed a team of volunteers across the city for six weeks and filmed their work and interactions with homeowners. Click here for the film’s full press release. 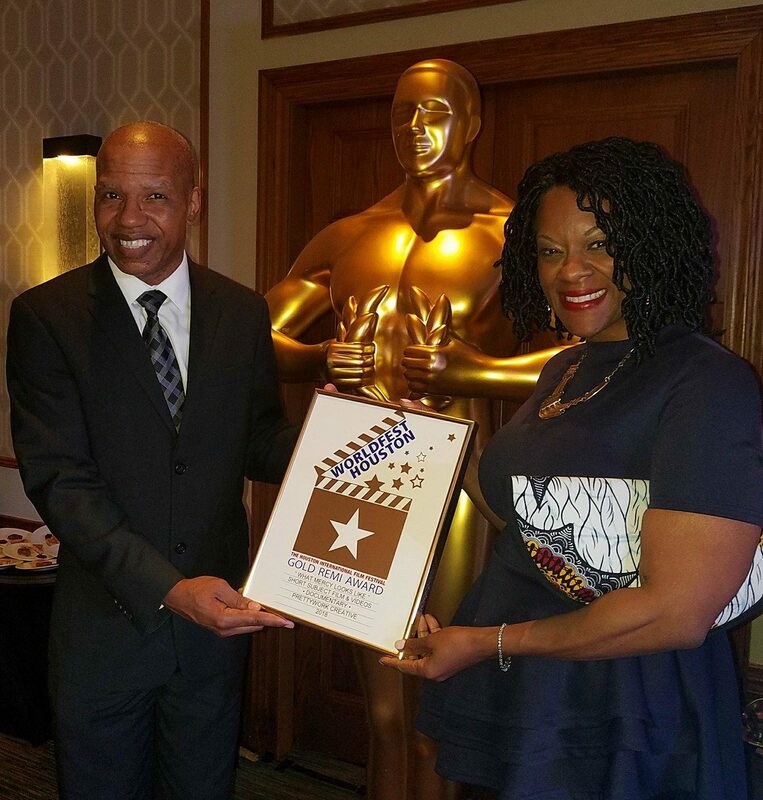 On Saturday, April 28, 2018, the couple won a Gold Remi for their short documentary at the 51st WorldFest-Houston International Independent Film Festival. 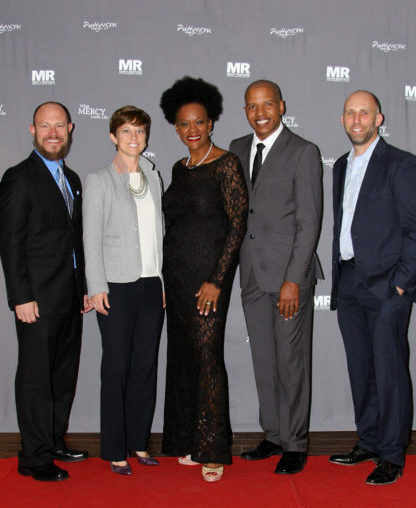 Award-winning filmmakers, Lisa and Elgin Alexander (center), Mercy Response volunteers, Shane Sullivan and Sara Zehr, (left) and Trinity Vineyard Church senior pastor, Michael Lehmann (right). © 2019 What Mercy Looks Like.